Attwaters Jameson Hill has a dedicated Family Mediation service headed by Sarah Canfield, who began family law work in 1998 and has been conducting mediation sessions since 2012. An all-issues Mediator, Sarah is here to help both partners with this less costly, less hostile approach. Separation and sorting out all the issues involved can be very stressful for both partners, maybe more so when children are involved. Feelings run high and deep divisions can lead to court hearings that may be emotionally and financially draining. Mediation is a commonsense alternative for all kinds of couples; and it’s now compulsory in many cases for separating couples to explore mediation before resorting to the courts. The process is designed to avoid the costs and bitterness of contentious divorce battles, following the end of relationships. Family mediation is a less formal process in which a trained Mediator helps the separating parties to reach agreement on important aspects such as children, property and finances. It’s not a relationship counselling service. Rather than acting for one partner or the other, a Mediator has an impartial role facilitating negotiations between the couple, whether they have legal representation or not. The two parties can decide whether to take separate legal advice before, during or after mediation. Mediators can’t offer legal advice, but can provide information and expertise to help negotiations along. After requesting possible mediation, each party is invited to a Mediation Information and Assessment Meeting (MIAM). The Mediator explains the process and the likely cost, discusses other options with them to help decide whether mediation is appropriate for them. If they wish to and the case is deemed suitable for mediation, an Agreement to Mediate is signed. Typically, three or four sessions of about 1½ hours are sufficient for negotiations. As well as normally being less costly than court proceedings, mediation can give the parties greater control over the outcome rather than a court deciding on financial or child arrangements. As it can reduce hostility and stress, mutual agreement is best for everyone, including children who may be upset to see parents at loggerheads. Sessions are confidential and ‘without prejudice’ and, when both parties agree, documents are signed to enable legal formalities to be completed. Selecting a Mediator with the experience and commitment to help find a way through any sticking points is crucial. Registration with the Family Mediation Council (FMC) is a key credential. 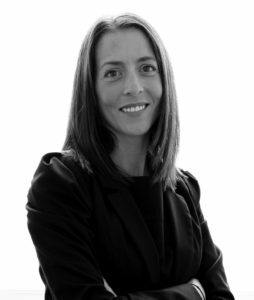 Sarah Canfield of Attwaters Jameson Hill is FMC-registered and has focused her entire legal career on family law matters. The Attwaters Jameson Hill mediation service offers a transparent pricing structure. We charge £75 plus VAT for a Mediation Information and Assessment Meeting and each subsequent session is £100 plus VAT per person, per hour. So, it’s easy to keep tabs on the cost as you go along. For more information, please contact us via the details below. Alternatively, please complete a family mediation referral form (found on the right-hand side of this page).